A disgraced college lecturer is found murdered with £5,000 in his pocket on a disused railway line near his home. Since being dismissed from his job for sexual misconduct four years previously, he has been living a poverty-stricken and hermit-like existence in this isolated spot. 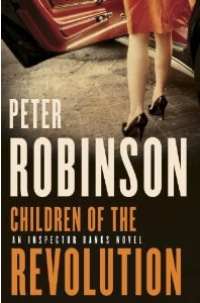 There are many suspects, mostly at the college where he used to teach, but Banks, much to the chagrin of Detective Chief Superintendent Gervaise, soon becomes fixated on Lady Veronica Chalmers, who appears to have links with the victim going back to the early '70s at the University of Essex, then a hotbed of political activism. When Banks suspects that Lady Chalmers is not telling him the whole truth and pushes his inquiries a bit too far, he is brought on the carpet and warned to lay off. He must continue to conduct his investigation surreptitiously, under the radar, with the help of new DC Geraldine Masterson, while DI Annie Cabbot and DS Winsome Jackman continue to rattle skeletons at Eastvale College. When the breakthroughs come, they are not the ones that Banks and his team expected, and everything turns in a different direction, and moves into higher gear.